The Scrapbooking Queen's Blog HERE! over at the Queen's Royal Shoppe HERE..
Susie's blog by clicking HERE! (We would love for you to follow us also). Royal Court DT blogs, for both days. weekend and other little royal goodies. a follower of my blog and leave me a comment. that the Queen so generously sponsored for me today! Very Cute!! 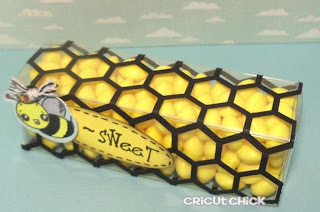 Love the honeycomb cut.. and the bee is adorable!! Perfect sentiment for it too!! Love it! Fun looking candy box. Love the hexagonal pattern. What a fabulous gift idea. Love the idea and the colors. Have really enjoyed your site and ideas! 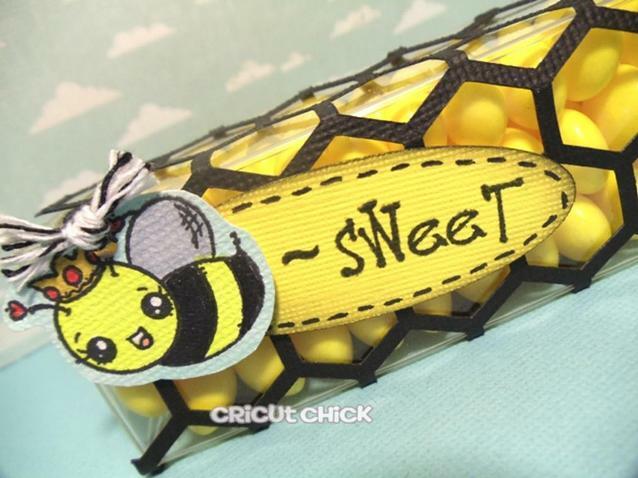 around...perfect thimg for the little Bee.. Nice project!! 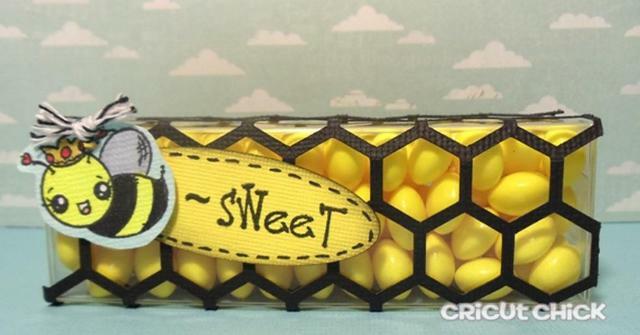 The all yellow skittles look yummy, ana just sets it off. Amazing treat box. I love it. The sentiment is so right for it. Oh my stars, Julie! This treat box is AWESOME! I LOVE the honeycomb! You are going to end up talking me into that machine with your amazing projects! The sentiment is perfect! OMG such a creative design from the Silhouette. Perfect for this stamp set. Already a follower. A great idea. Love it all. This is just too stinkin' cute! Love how you put the honeycomb around it. So creative:P Already a follower. Oh my, I just love how you made the treat box into a little honeycomb!!! What a cute, clever idea!! I love the little bee too!!! I jist love it. 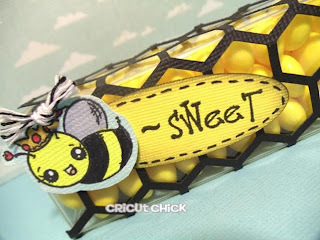 Sooo cut and the colors, black & yellow are perfect. That's a cute idea for great favors! 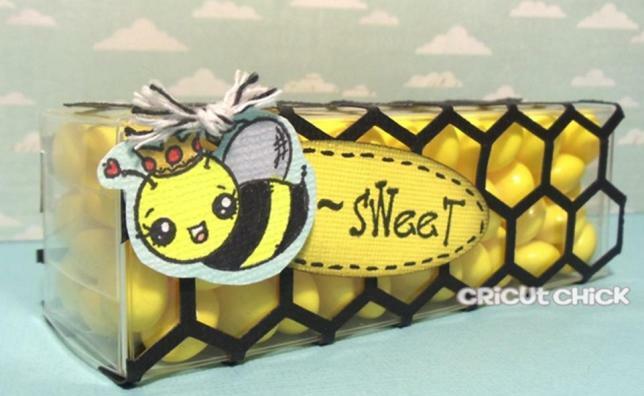 this is soo cute the stamp set is perfect for your honeycomb box its a great idea, cool gift idea. Go Go Julie... Love this. You always do such cute work. Great job my talented friend great job. This box of goodies is such a great idea! I love the honeycomb around the outside. What a cute little project!! Oh my goodness...this just could NOT be any cuter! I love the honeycomb and that sweet little bee is super cute. Fun, fun, fun! Super good Idea!! love the honeycomb!! TFS!! This is just genius!!!! WOW!!!!!! TFS!!! This is unbelievably cute. Love it. That is sooooo CUTE! I love the little bee! I have a friend that would love this too so I am going to send her a link to this blog! Thanks so much for sharing your talents and offering such a sweet surprise!